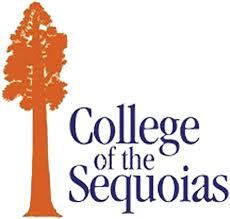 College of the Sequoias is a two-year California community college offering educational and enrichment programs for the residents of its district in Tulare and Kings counties. The college was established in 1925 and moved to its current 62-acre site in 1940. In addition to the primary campus in Visalia, COS operates a full-service center in Hanford that is also home to the college's police and fire academies. COS conducts an agriculture program on a 16-acre farm but is building another in Tulare that will be both a full-service center and the future home of COS' agriculture programs.